Olson Paving is now offering snow plow services in the greater Wausau area. Areas of service include Rib Mountain, Stettin, Schofield, River View, Kronenwetter, Rothschild, Weston. We also travel further depending on the job these areas include but are not limited to Mosinee, Brokaw, and Merrill. We offer both commercial snow removal and residential snow removal. 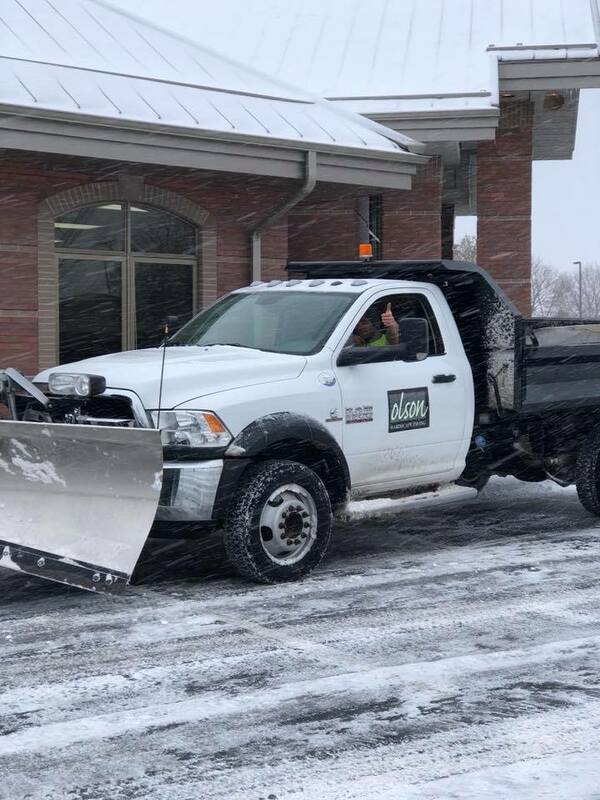 We have been snow plowing since 2017 and have had many happy customers. No job is too large or too small. We are professional, timely, and fully insured. We have many pieces of equipment for every type of job. Our salting services include two options. One is for rock salt which typically works for -5 degrees below zero and is ideal for large parking lots. The other is a calcium blend which works to -15 degrees below zero and is ideal for sidewalks and smaller areas, or an area that needs superior melting power. NO JOB IS TOO SMALL OR TOO LARGE. Snow plowing residential driveways start at $25 per time. Call us today for a FREE quote, or fill out our online form to get started.